So even though I think crackles are completely done, I had this weird feeling like I NEEDED to put crackle on top of my franken mani from last night... 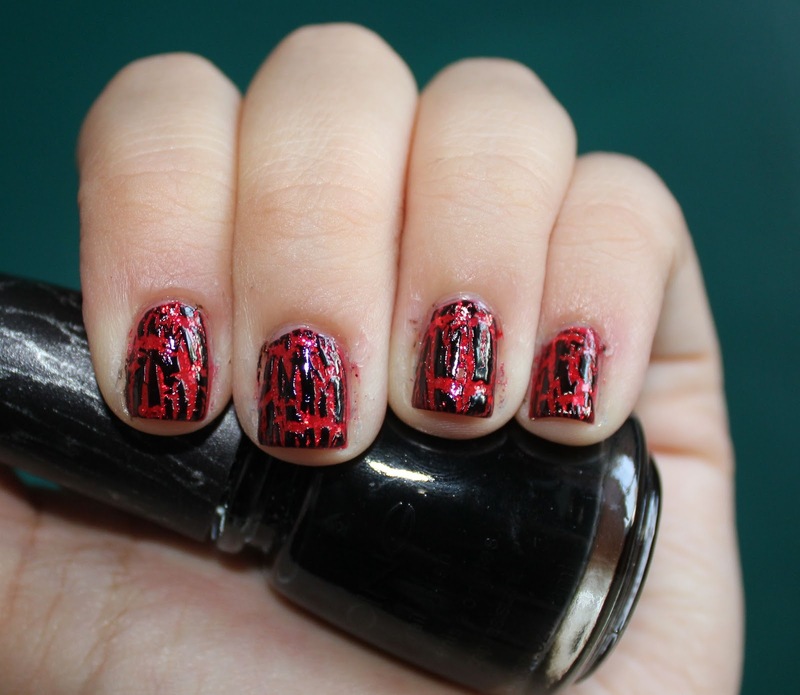 I know, black crackle over red has been done a million & a half times, but I don't know, it was calling to me haha. I like Icing's version because of the huge cracks it makes, it makes the base color show through a lot, which I like more than its counterparts. I know, it's a disease!! & thank you so much:]!